Episode 255: ControlTalk NOW — Smart Buildings Videocast and PodCast for week ending Feb 18, 2018 features our interview and cyber security discussion with two of our industry’s most venerated experts from Intelligent Buildings, Darryl Benson and Fred Gordy. Darryl and Fred offer the ControlTrends Community some astute advice and pose an interesting question to system integrators: Do you want to maintain the cyber security risks or turn them over to the end-user? Tridium’s Jim Bland gives us 4 good reasons to attend the 2018 Niagara Summit; and more product announcements from Siemens, Belimo, and Lynxspring. Tridium’s Jim Bland Gives 4 Important Reasons to Attend Niagara Summit 2018. Excitement is building for the Niagara Summit, the largest building automation open system summit in the world. Tridium will be unveiling the latest Niagara innovations from edge to cloud. Click to watch Jim Bland, Tridium’s President and General Manager, give the top reasons to attend this year. ControlTalk NOW interview with Intelligent Buildings‘ cyber security experts Darryl Benson, VP of Solutions, and Fred Gordy, Director of Cyber Security, who discuss the methodologies and best practices that give an organization, especially those with a large portfolio, a structured approach to manage cyber security. In many cases, we have created “an environment of convenience,” where there are too many superusers and passwords don’t expire. End users must manage all the devices on their networks, requiring verification and enforcement with all the service providers with access to those networks. Don’t miss the great insights from Intelligent Buildings! 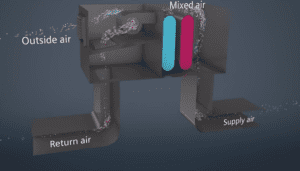 Siemens Building Technologies New Economizer Controller Video and Installation Video! These Siemens videos will give you important insight into an effective energy savings idea, review easy-to-install procedures, and walk you through the setup of Siemens’ new economizer products. The second video will show you where the equipment is connected to the controller and how to set the shut-off temperature set points. Innovation Meets Energy Efficient Design: Belimo 6-Way Pressure Independent Valve, Webinar on Wednesday, February 21 at 1:00 PM EST. In this 30 minute webinar you will learn about the new Belimo 6-Way ePIV and its innovative design for more energy efficient operations. 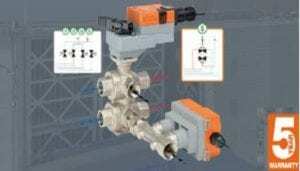 This pressure independent control valve features heating and cooling circuits that are hydronically decoupled allowing each sequence to be controlled individually by the actuator. 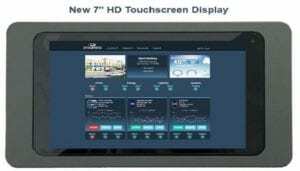 Lynxspring’s New Product Announcement: Introducing the TSD 7 Touchscreen. Lynxspring is pleased announce the immediate availability of our new Lynxspring TSD 7, a high-definition, 7″ touchscreen display for use in a wide range of HVAC, lighting, energy, commissioning, troubleshooting, servicing and IoT user experiences. This adds another dimension to Lynxspring’s commitment to providing complete edge-to-enterprise and IoT solutions for building automation, energy management and device-to-enterprise integration. Thank you, Ken Smyers. Happy, safe sailing.